In order to download library eBooks to your e-reader (ipad, kindle, nook, etc) you must first have a Pinellas County Library card. 1. Download the Overdrive Media Console App, it’s free! 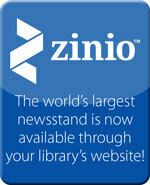 Overdrive is our library’s third party carrier of eBooks. 2. Library eBooks have various formats (kindle, Epub, PDF) to read a PDF book you must have an Adobe username and password, it’s easy and free to set one up if you don’t have one. You will also want to download the kindle app to read books in the kindle format. It’s also free and easy to download from the App store. 3. Once you have entered or set up your Adobe username and password and downloaded the kindle app, you must register your library on the overdrive app. Tap on ‘get books’ in the upper right corner. Tap on ‘Add a Library’. You can search by library name, city or postal code. You can type in Gulfport’s zip code (33707) and we’ll pop right up. 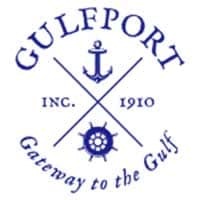 Tap on ‘Gulfport’. Tap on Pinellas Public Library Cooperative. 4. Now you can either browse by genre or search for a specific title. Once you have found a book you would like to check out you can either place a hold (many of the popular titles have a wait list, see instructions 4a below.) or if it’s available you can check it our right away! 4a. If you selected ‘place hold’ you will be prompted to enter your library card number and email address. When the book is available, you will receive and email with a link for downloading the book. 5. If the book you like is available tap ‘borrow’ and enter your library card number. 6. Tap download and select format. Ipads are equipped to be compatible with multiple formats. Just keep in mind that if it’s a kindle format you will need to download the kindle app (also free). 7. Once the eBook has been successfully downloaded, simply tap the book cover to start reading. 2. Click on “Overdrive” (has the the picture with the tablets and iphone). 3. Browse for books by genre or search for a specific title in the top right search bar. 4. Click on the book you would like to check out. If it is available, there will be a blue button which reads “Borrow” (see #5). If it is unavailable at the moment, it will read “place hold” (see #4a). 4a. Click on “place hold” You will be prompted to enter your library card number and your email address. When the book is available, you will receive an email with a link for downloading the book. 5. If the book you want is available, click on borrow, then enter your library card number. 8. You will be taken to the sign-in page for Amazon; if you have activated your kindle, you will have an Amazon username (your email) and password. 10. The library book will be automatically downloaded to your kindle if it is connected to the Internet.